Producers in the McLaren Vale are united in their opinion that they are currently making the best expressions of Grenache in Australia at the moment. 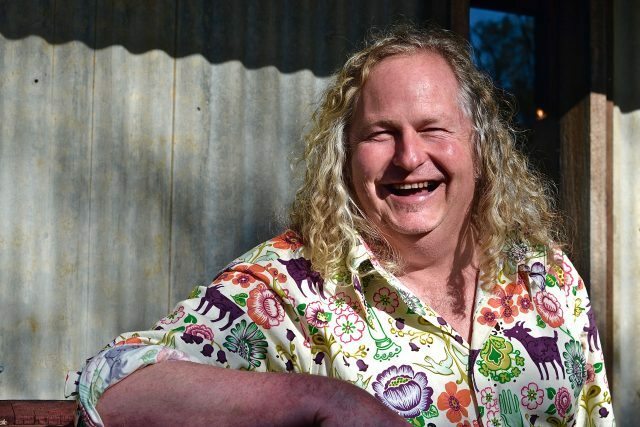 Speaking to the drinks business during a recent visit to the region, Chester Osborn of d’Arenberg was the first to throw down the gauntlet. “I think the McLaren Vale is the best place for Grenache in Australia right now. It’s so fragrant and is halfway between Châteauneuf-du-Pape and Côte Rôtie in style. “Most of it comes from old vines, some of which are over a century old and nearly all dry grown. For us it’s like Pinot Noir – the Everest challenge we’re trying to climb. Yangarra’s chief winemaker, Peter Fraser, is equally enthusiastic about the quality of McLaren Vale Grenache being made today. “Grenache is one of the jewels in McLaren Vale’s crown. It’s an honour to be a custodian of these old bush vines and our Grenache history and heritage. “It can be a bit of a hard sell but is forging its own path in restaurants in Sydney and Melbourne where medium bodied wines are being celebrated. “It’s very Pinotesque – fragrant and not too tannic but complex with good palate weight. We make our greatest Grenaches in our coolest years,” he told db. Meanwhile, Johnathan O’Neal of Angove believes the McLaren Vale is making the “best and purest” expressions of Grenache in Australia but that the variety has been overlooked and underrated until recently. “The McLaren Vale has a huge opportunity to continue to own the variety, which is lighter on its feet than a lot of other grapes,” Mike Brown Gemtree Wines told db. Both a blessing and a curse, Grenache mirrors Pinot in its sensitivity to its environment. “Grenache shows off the year and terroir more than any other variety that we work with, which is great – I love how sensitive it is,” Osborn revealed. “It gets its fragrance, length, tightness and minerality from the soil. It’s an amazing variety and ages really well. Old Grenaches are some of the best wines I drink,” he added, but warned of its susceptibility to oxidation. Kelly Fargher of Wirra Wirra echoes Osborn’s sentiments. “Grenache is thrilling to work with and deliciously easy to drink. “It’s Pinot-like in its delicacy and fragrance, but also has great structure and acidity. It’s super expressive of its site and vintage and is generally the last thing we pick,” she said. Nick Hazelgrove of Hazelgrove Wines is keen to educate consumers about the fact that Grenache’s light ruby colour doesn’t make it light bodied. “Grenache gives a lot more in terms of body and power than its light colour implies. This misconception has been a bit of a problem in the past. We used to be apologetic about Grenache, now we’re proud of it,” he said. “Grenache is enchanting to work with but can be hard work as it’s less forgiving than Shriaz. Put Grenache in a too happy place and you’ll end up making rosé – it thrives in poor soils,” he added.